Discussion of the Java Persistence API Developer Exam certification. Is JPA still worth studying for? my exam cloud mock 2, modifying persistence.xml to make the persistence unit JEE compliant. Who controls that one entity instance belongs to one persistence context? 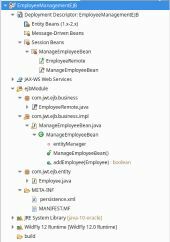 Install JPA enthuware mock exam in two machines? shared cache is not applicable for container managed entity manager?